So, here are a few of the facts you may or may not know about The Open University. The Open University is in fact the largest university in the UK. With over 200,000 students learning at any one time and 4 in 10 of all UK part-time undergraduates choosing the OU, the university is actually larger than any of the mainstream, campus universities. FACT: The average age of a new undergraduate is 30. With over a quarter of students aged between 17-25, it is clear that flexibility and opportunities to earn and learn are some of the factors that are influencing younger students. The National Student Survey (NSS) ranks The Open University in the top ten for student satisfaction. In 2013, the OU came eighth. Student experience included working at their own pace, access to online materials, social networks and facilities in each region. In 2012/2013, the university had a 92% satisfaction rating. Over 70% of students are in full-time or part-time employment and four out of five FTSE 100 companies have sponsored their staff to take OU courses. The UK’s latest Research Assessment Exercise ranked The Open University in the top third of UK higher education institutions. More than 50% of OU research was assessed as internationally excellent, with 14% as world leading. 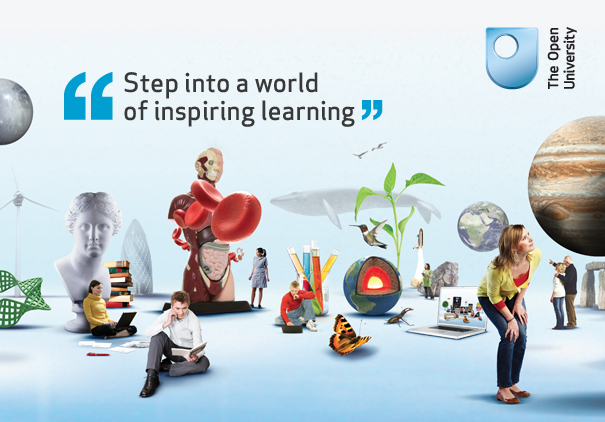 The OU is seen as Britain’s most important e-learning institution, with research and development in technology to increase access to education. Materials are available through iTunes which has recorded over 60 million downloads. The university emphasises and utilises social media, alongside promoting opportunities to get involved through the student association. The SCONUL access scheme: this allows students from The Open University to use any university library in the UK, whether to have a place of study or simply to borrow a book. I think this is simply a brilliant idea. The Open University runs special events and meet-ups, face-face tutorials and the OU conference allows students to be involved at the Milton Keynes Campus or online. Utilising social networks and online forums can be very helpful and the SCONUL access scheme allows you in to any university library, so it may be new people from further afield who you meet. Or so to speak. There are hundreds of free courses to try on OpenLearn which give a flavour of what being an Open University is really about. The OU prides itself on being a world leader in the development of Open Educational Resources and is always trying new ways of teaching and learning. A 41 year partnership between two great institutions. Programmes include Frozen Planet, Bang Goes the Theory and The Money Programme. Yes. Anyone can. With the support The OU offers, to anybody with any ability is incredible. There is great career guidance and plenty of support from the student support team and tutors. It is an incredibly different and refreshing way of learning. The place to visit for all things Open University is http://www.open.ac.uk. All aboard for HS2 ? A few months back I posted about the confusion of the franchising in the rail industry, with some lines being privatised, others returning to public ownership and some which are in complete limbo. But that led me to the ongoing debate about the new high-speed rail link project (HS2). The facts are great: cutting journey times, creating jobs and boosting business. However, what about the actual reality of the project. Will it actually work? On a journey between Warrington and London, I compiled a few thoughts. It is a clear fact that the railways are running at near full capacity. Ministers behind HS2 estimate that “by 2020 a further 400 million journeys will be made” on top of the 1.46 billion made last year. So it certainly makes sense to have a new rail route in order to ease overcrowding and congestion on other lines. In 2009/2010, 59 percent of all train journeys started or ended in the London region, according to the Department of Transport. Business and management professionals are amongst those who make regular trips to the capital, the majority of whom travel from other regions. But for ordinary day-trip visitors, commuters and tourists, overcrowding is serious. A recent BBC documentary, Railways: Keeping Britain On Track, highlighted the daily troubles that travellers face at peak times. Passengers on the East Coast Mainline were seen being crammed into carriages at near-bursting point, many commuters making their feelings known. It is impossible to determine where each single passenger would travel to but certainly the majority interviewed on TV were travelling to the suburbs of London and major towns on the outskirts of the capital. On this basis, ordinary commuters won’t benefit as much from a high-speed link between London, Birmingham, Manchester and Leeds, apart from a slight ease on crowded coaches. But surely the point is contradicted by the desire of the long-distance traveller. Like me, on my first visit to the capital, I paid to go First Class. This was mainly because it was a long distance and a reasonable deal. For business class and regular first-class passengers they will always remain in the privileged carriages which are less crowded and more comfortable. So it seems the next direction would be to make trains more focussed on the average commuter not the first class buyer. Like the last point mentions, there are more people crammed into standard class carriages than those who used first and business class. So whilst the few may pay more, the majority will still use trains at the same time and use the same standard class everyday. This brings me to the question of whether money should be spent on the trains themselves and not a new railway line. A recent Inside Out investigation revealed how fleets of trains operated by Northern Rail had been questioned over safety. 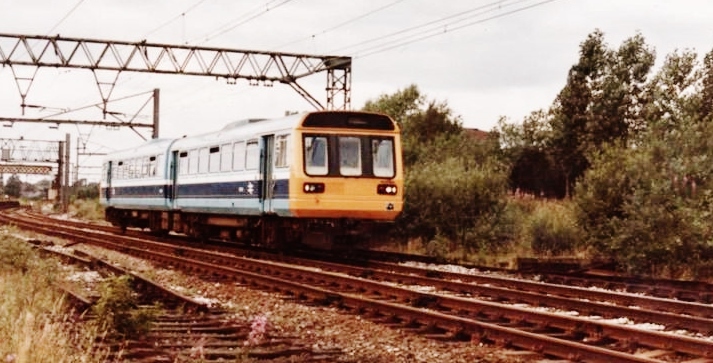 Operating in regions across the North of England, the Pacer train, effectively a bus chassis on rails, has proved unpopular with commuters, unsuitable for disabled passengers and unsafe on the rail network. BBC Yorkshire’s Alan Whitehouse outlined how the trains had first come into operation in the 1980’s as a cheap build and a life span of no more than 20 years. Almost thirty years later, these fleets still operate on the Northern Rail network; The rail regulator has now questioned whether the trains should continue to be used. By 2019, Pacers will have to be withdrawn from the rails because of new legislation ensuring that people with disabilities can gain easy access on public transport. The Pacers do not meet the intended guidelines. Northern Rail has accepted that the trains are old and need replacing. However, they insist that passenger numbers are rising meaning the trains need to fulfil extra demand and that there are questions over how to afford replacements. That word “afford” is crucial in this debate, as the government announced the HS2 project will go beyond budget and cost in excess of £40bn. A lot of money indeed. For the ordinary commuter whose journey takes them between towns and cities they will still use the shorter, suburban lines. So perhaps the billions of pounds worth of investment into a single new line should instead help towards replacing tired trains, not capable of driving the demands of the modern-day. The Pacer has been brought into question over safety. The person who uses the train to get to and from work, college, shops, university, meetings, holidays and visiting family will feel an impact. Why? Because the money for the new high-speed link on top of the improvements needed on existing networks will come from ticket prices. 2013 saw another consecutive hike in rail prices. 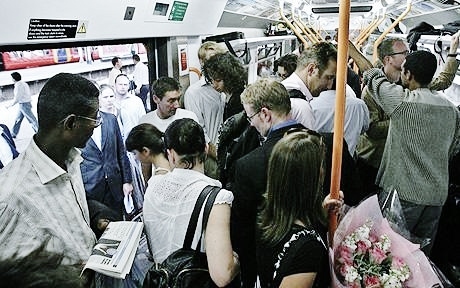 The Campaign for Better Transport and Railfuture have calculated that over the ten consecutive years, rail passengers’ fares have increased by over 50 percent, whilst some areas of the UK have seen increases in fares above the national average. I have rarely had a problem with the rail network. Even on my journey to London, the price was reasonable compared to taking a car for instance and the train was plush and comfortable. But I do understand the gripe of travellers who use the network everyday. The age-old problem of leaves on the track, crew member not available and signal problems have all added to frequent delays up and down the country. When the train eventually arrives, disgruntled passengers find carriages like a tin of sardines: uncomfortable, unpleasant and below par. One must wonder as to why an individual would dip into so much money for such a poor service. The fact is there is no other solution. The cost of living has rocketed, along with the cost of owning, insuring and running a car. Whilst public transport has seen major hikes, it is one area that can actually help someone save money. Whilst the cost to the commuter will increase next year and the year after that, I would question whether HS2 meets the need for the majority of paying travellers. As mentioned earlier, the majority of train journeys are suburban taking people from one town to another often within the same region. Yes, there is a clear demand for the passengers who travel long-distance, but many of these journeys are “one offs” or only on “occasion”. That was the view from some of the people I spoke to on my journey. The demand is where the lines are bursting at the seams. Liverpool – Manchester is one of those lines because the tracks visit towns and villages in-between the two cities. The areas where the commuters live. It can be quite hard to explain. People I spoke to onboard the London bound train made it known they did not want a new line and instead they wish current operations could benefit from the cash. And I agree. Because who exactly is the HS2 going to benefit? The West Coast Mainline is popular with travellers. It is hard to see who HS2 will benefit. It’s certainly easy to see who will be at a disadvantage. Home owners forced out of their homes, tax payers who will see increase in payments because of the new infrastructure, rail passengers who will see increase in fares for similar reasons, people who don’t travel long distance. There are plenty of groups who will be against. One of the biggest gripes I have with the new project is availability to users. 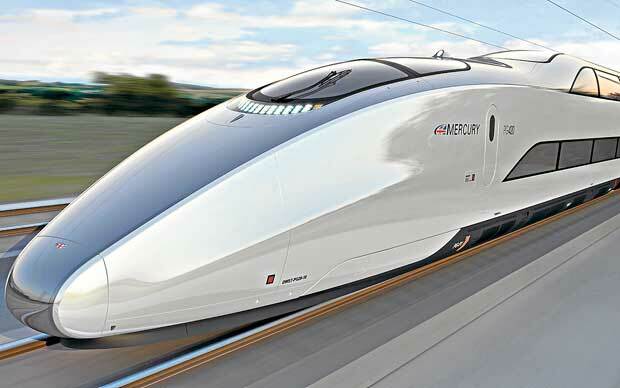 HS2 will leave London bound for Birmingham and then on to Manchester and Leeds. It would be excellent if there were actually any stations to board. Considering where I live, Warrington, I wouldn’t be able to use the new line because it would cost more in money and time to actually get to a station where I could board. Similar situations in Widnes, Liverpool, Macclesfield, Runcorn, CREWE, Bury, Bolton and plenty more. Hundreds of rail passengers will stay in the same boat, or carriage, and use operators and routes they know best. 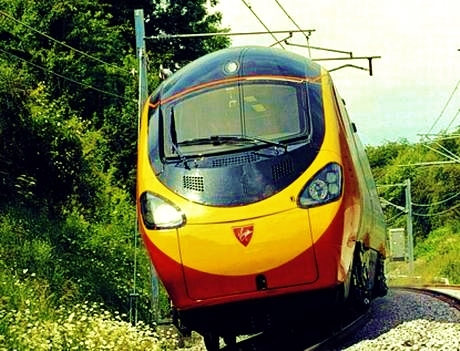 Virgin Trains on the West Coast Mainline is one of the most respected rail operators in the country. Excellent service and trains are quick. Is there actually anybody who needs to get from the North to London any quicker than what is already offered? It took me less than two hours to get from Warrington to London. I’d say that was pretty quick. Granted, there will always be someone who wants to get to the Capital quicker, but for any average user, the train is quicker than flying (when you take into account check in etc) and certainly faster than driving. And, furthermore, it will only be the people of these large cities who will benefit. Manchester, Leeds and Birmingham. That is where the stations will be based. There are no official confirmations if there will be stations in between, but if ministers are promising a quicker journey time, there will be no chance for trains to slow down and stop for several minutes. £42 billion. Well over the original budget. It’s interesting to note that on the HS2 website there is little mention of how much the project will cost. There is much talk about “investment” and creating opportunities. But the simple fact is that the project is an unbelievable amount of money. All of which has to be repaid or at least be worthy of value for money. There is little more to say. The government would always get a harsh backlash whatever the cost would be. The fact that it is an extraordinary amount, in such hard economic times, seems to be a laugh in the face to ordinary families and workers. But will it be a good investment? The economic benefits seem very good indeed. A rail network which connects Britain better than current connections is without doubt very good. 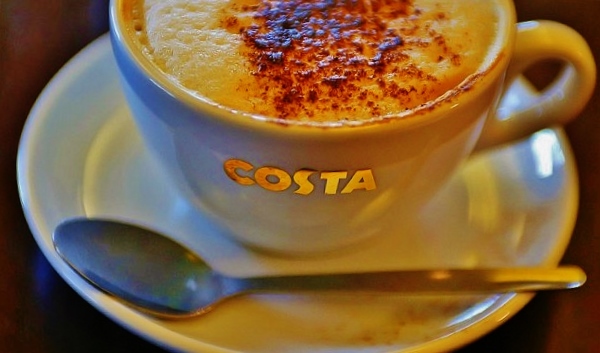 Businesses will be able to communicate with suppliers and traders more efficiently. An increase in freight on the new line, alongside current operations on the West Coast and East Coast Mainline, will improve trade, imports and exports. Furthermore, HS2 planners confirm that more room is needed for freight. “By 2030, overall volumes are expected to be 120% of current levels.” The new line, campaigners suggest, will not hold back the UK economy. Growth and connections are needed. An impression of what the HS2 trains could look like. It has to be admitted that a new rail line is needed. The West Coast Mainline is already severely congested and if a new line isn’t created within a generation then commuters and the economy will be at risk. It’s a brutal fact. For me, I won’t benefit entirely from a new line, in fact I’d guess I would very very rarely use it as I am closer to the West Coast Mainline. Further consultations are needed. It’s a fact. Routes and lines do need to be altered. To destroy villages and houses is unnecessary and a sad consequence. The whole idea is about improving Britain’s rail network. A new link should, say the government, take pressure off existing lines. It’s high-speed because trains will be quicker but they won’t stop at large towns outside the terminal cities. Furthermore, what about the far North of England? Cumbria, the North East and Scotland. 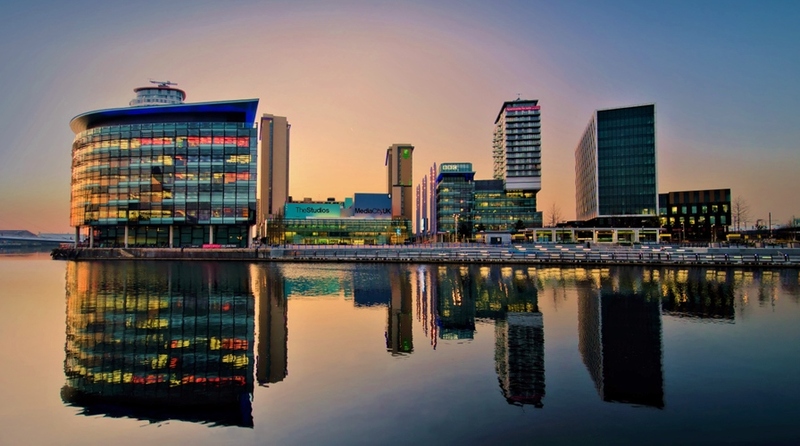 Numerous points have been made about the economic benefits to an already struggling North. Why can’t the line go further than Manchester? The plan is probably quite good on paper. I am not entirely convinced by the idea and nor are many others. I see the benefits but also see through to the problems that will be encountered. High-Speed 2 will be “high-speed” but perhaps more thinking about the execution of the project and current state of the rail network is needed. Gordon Burns will retire from TV and radio tomorrow. He has been the face of The Krypton Factor, North West Tonight and the voice of Sunday morning radio. Now, after a career spanning four decades, Gordon Burns is bowing out of TV and radio for good. The 71 year old had already “semi-retired” in 2011, standing down from presenting duties on BBC One’s North West Tonight after fifteen years in the anchors chair. 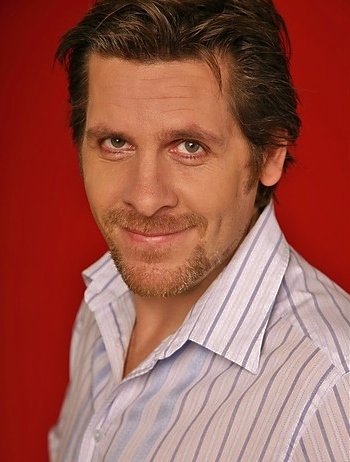 In that same year, the presenter with strong Northern Irish roots, made a move into local radio, hosting a weekly topical programme on BBC Radio Manchester and BBC Radio Lancashire. A mix of news reviews, easy listening music and an excellent calibre of guests has made the programme popular with Sunday morning listeners for two years. On Twitter, Gordon announced that tomorrow’s programme would be his last. I asked him whether it would be the last we see of him on screen and on the radio in the North West. His reply was a simple “probably” adding that he “has so many other things to do“, explaining that he believed “time was running out“. 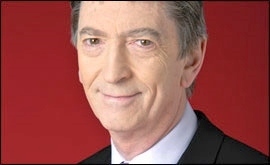 Burns’ career began in the 1960’s when he started working for the Belfast Telegraph before moving into TV news to front UTV’s nightly news programme. He was one of the journalists centred with reporting on the Northern Ireland Troubles. He later made a switch to Manchester, fronting regional programme Granada Reports before landing the job as host of the The Krypton Factor, a role that made him a household name across the country. Burns returned to his roots as a journalist and broadcaster when he took up the role as anchor of North West Tonight in 1997. 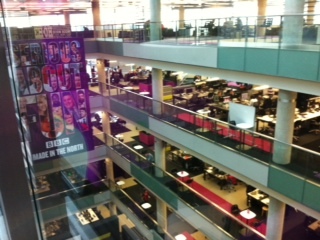 It was a move that proved popular with viewers, with the BBC programme winning numerous awards and Gordon himself winning Broadcaster of the Year at the Royal Television Society Awards. Above all, Gordon has always made the relationship between him and the viewer a personal one. His warmth, charisma and professionalism created a personality and fan base that many journalists and broadcasters can only dream of. Listeners can hear the last ever Gordon Burns show on BBC Radio Manchester and BBC Radio Lancashire from 9am on Sunday 14th July and on the BBC iPlayer shortly afterwards. Dropped: Tony Livesey has been the regular sports face of North West Tonight since 2006. One of the North West’s most popular presenters is being dropped in order to make savings. Tony Livesey has been at the helm of the sports desk on the BBC’s North West Tonight programme for seven years, and, despite his first appearance on the programme, he has become a firm favourite amongst viewers. The announcement was made public during Sunday’s edition of ‘Gordon Burns’ on Radio Manchester, when Livesey, who was a guest, confirmed he was to leave at the end of next month. He told the programme that he was leaving to pursue a new project as the “face of current affairs” with BBC One magazine programme, The One Show. Admitting it was time to move on, the Manchester Evening News has reported that the sports presenter’s contract was not offered for renewal. In an email leaked to the evening paper, Livesey thanks his colleagues and confirms he will depart at the end of July. In it, he says “I’ve really enjoyed my time here, more I think than you can imagine and, who knows, one day I may be back” adding that management told him his contract would not be renewed. 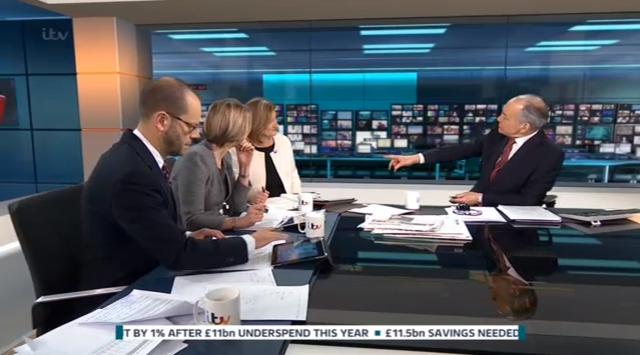 Tony will not leave the nightly news programme altogether. It has been confirmed that he will remain a part of the North West Tonight team, deputising main host Roger Johnson. Speaking of his axe on Sunday, Livesey told Gordon Burns that it brought an end to the “days of me, you and Ranvir“; Gordon retired in 2011, whilst Ranvir Singh left to front ITV’s Daybreak less than six months later. Speaking of the presenter swap-around, Livesey likened the red sofa of North West Tonight to the red chair on The Graham Norton Show where contestants are “tipped” over the back. The regular sports presenter had an initial rocky start to his North West Tonight career, with viewers emailing that he must look tidier. He also admitted he got sent a number of ties in the post, in reference to his apparent “scruffy” and tieless appearance; On his first day he was even mistaken for someone who was in the building for an audition rather than the main presenter. Despite this, Tony has won round the viewers with his quirky humour, passion and knowledge for sport and his love for Burnley FC. The teatime favourite will leave his current role on July 26th but will return to host the main programme on occasion. Livesey will still present his Radio 5 Live Weekend Breakfast Show and his new role as editor of current affairs at The One Show will begin in August. Weather presenter Dianne Oxberry remains the longest serving member of the North West Tonight on-air team, having joined in 1995.